United Industrial Corp.’s indirect subsidiary S.L. Development agreed to acquire a 24.27 percent stake in Marina Centre Holdings (MCH) from three sellers for a total S$485.33 million, UIC announced late Friday. 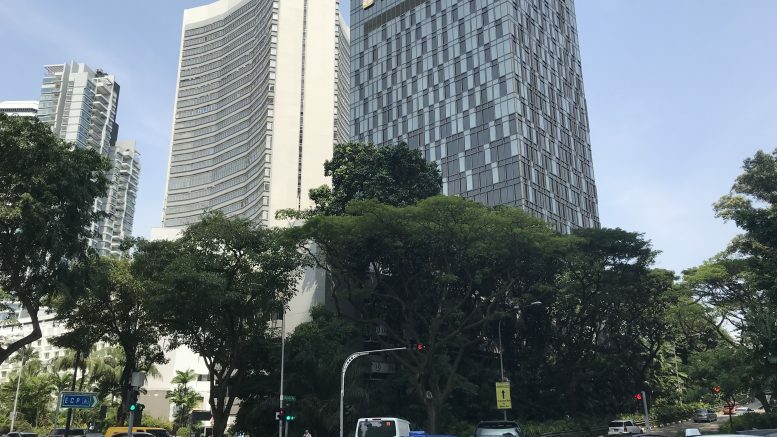 OUE plans to sell a 10 percent stake in MCH, which is an indirect subsidiary of UIC, for S$200 million, Finnegan Investments will sell 10.27 percent for S$205.33 million, and Mackmoor will sell a 4 percent stake for S$80 million, UIC said in a filing to SGX. The deal will bring UIC’s stake in MCH to around 77.34 percent; the remaining 22.66 percent of MCH will continue to be held by UOL Group, which is UIC’s holding company. MCH is a property group with investments in Singapore’s Marina Square retail and commercial development, which includes the Marina Square Shopping Mall and the Marina Square hotels: Pan Pacific Singapore, Marina Mandarin Singapore and the Mandarin Oriental Singapore. UIC said it would fund the deal through internal financial resources and external bank borrowings. Separately, UIC said it would acquire a 25 percent stake in Aquamarina Hotel Pte. Ltd. (AHPL) from OUE subsidiary Hotel Investment (Marina) Pte. Ltd. for S$190 million. AHPL is an associated company of MCH and UIC. MCH currently holds 50 percent of AHPL, and after the deal’s completion that will rise to 75 percent, UIC said. The remaining 25 percent of AHPL will continue to be held by UOL Equity Investments.